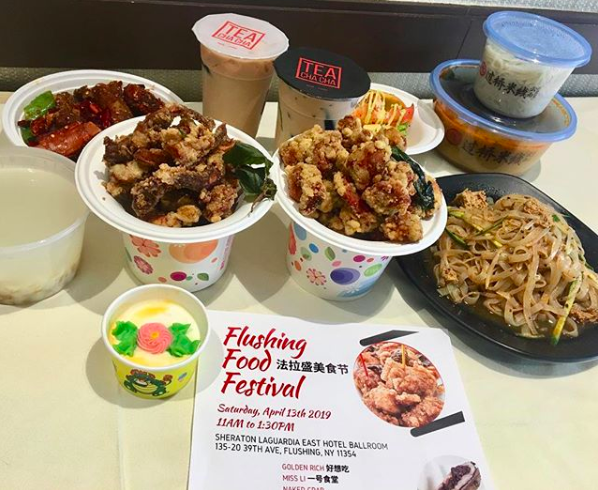 Flushing Food Festival will be on April 13. Experience the variety of flavors that Downtown Flushing has to offer! Admission is free food but must pick up tickets for entry. Every ticket allows you for three free items. You can pick up tickets with both locations starting April 1st at 11am at the information booth in front of Flushing library or at the Flushing Bid office located inside Sheraton Laguardia East Hotel. No user commented in " Flushing Food Festival "